Born in 1824 in the town of Clarksburg, Virginia (now West Virginia), Thomas Jonathan Jackson became an orphan at age 7 when his mother died---his father having died when Jackson was only 2 years old. After his mother's death Jackson and his sister, Laura, spent most of their youth living with various family members, sometimes together, most of the time apart. Laura became an active Unionist during the Civil War and it was reported that she said of her famous brother, that she could take care of the wounded Federals as fast as her brother could wound them. 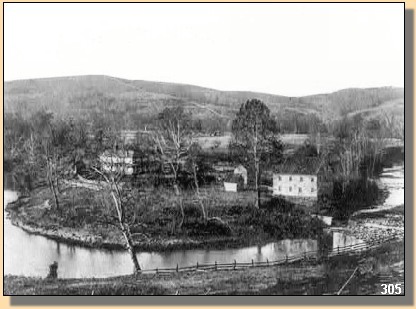 Thomas Jackson spent eleven years of his boyhood at Jackson's Mill near Weston, Virginia (now W.Va.). 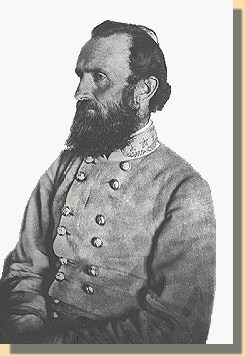 Because he liked to cross the West Fork river, at Jackson's Mill, and sit under the white poplar trees, some believe that his last words, "Let us cross the river and rest under the shade of the trees." referred to Jackson's Mill. 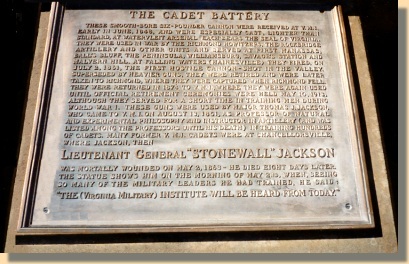 In June, 1842, Jackson entered training at the U.S. Military Academy at West Point. Later he received recognition as a hero in the Mexican War. 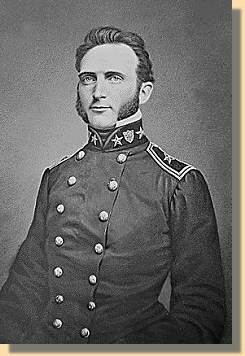 Following the Mexican War, Jackson became an instructor at the Virginia Military Institute (V.M.I.) in Lexington, Virginia. 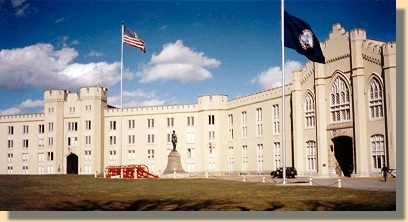 Jackson's Statue is in front of the Barracks.